Materials: Abrasive Materials. Diameter: 9,0"/230mm. Laser welded segment. Materials: Abrasive Materials. Diameter: 9,0"/230mm. Laser Welding, High cutting power, high resistance to abrasiveness and excellent performance. 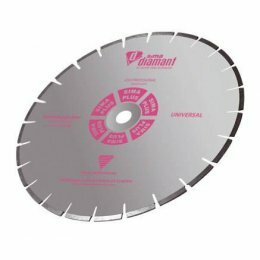 Application: Special for cutting highly abrasive materials, facade bricks, terrazzo, roof tiles, precast concrete items, etc. 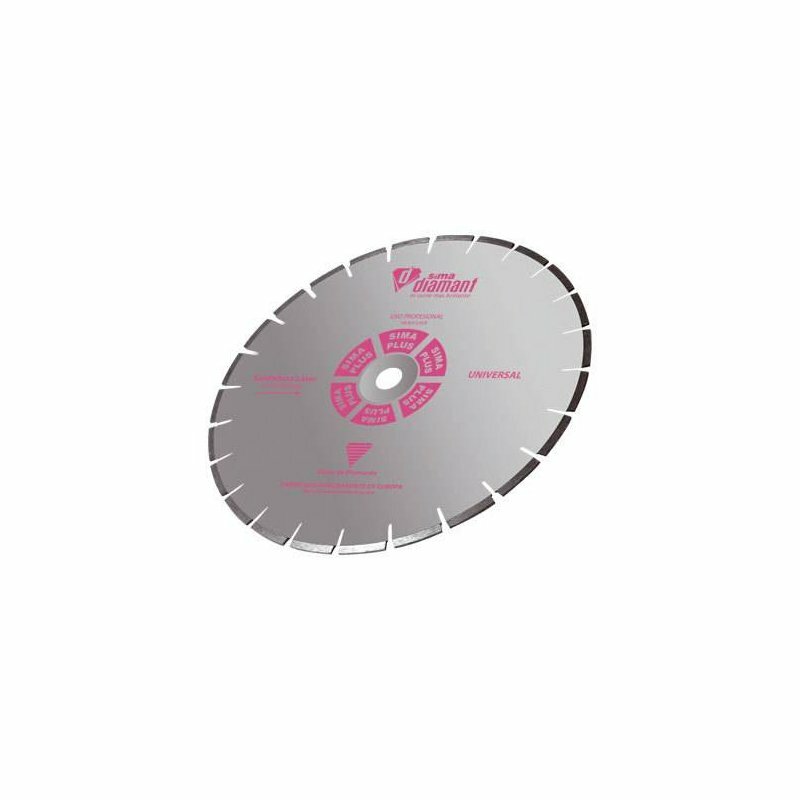 Sinter welding: this welding joints the segments to the blade body by high pressures and temperatures. Silver bracket welding: A silver wire bracket is used to weld both parts, segment and body, in a protective air-pocket. Laser welding: Is the safest and most accurate welding. It requires a state of the art technology and a higher quality of the materials to weld: segments and blade body. 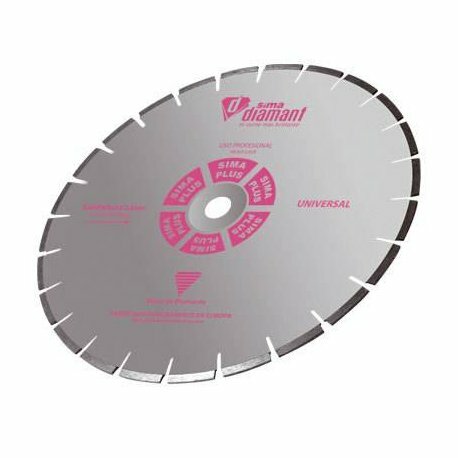 A segmented disc is mostly recommended to cut hard materials, such as stone, granite, bricks, etc.) when a very high cutting precision is not essencial and speed is. Thank you for your interest in SIMA products. We will reply to you as soon as possible. Your personal information or question is wrong. Some thing went wrong. Please try in other moment. We are the leading company in light machinery for the construction industry in Spain and the third largest supplier in Europe. We manufacture several complete lines of machinery such as: Construction Material Saws, Rebar processing, Floor Saws and Power Floats, Consumables.